General articles about equipment leasing and financing. Using financing as a sales tool to help close business in the fourth quarter is much more than just waiting for customers to ask about financing. It’s about understanding your customer’s needs and putting together a solution to address those needs. That’s certainly true when you’re selling the benefits of your equipment and it’s also true when providing a financing solution tailored to meet those needs. To that end, TEQlease is rolling out a series of customized, flexible financing options designed to help our vendor partners sell more equipment. These are part of our special promotions available through the end of 2017. This option is perfect for situations where it may take a few months before the equipment is generating revenue for the customer. It gives Vendors the option of making the sale today, getting paid in full today, and allowing the customer to defer payments for as long as 90 days. This option is designed for customers with fluctuating periods of higher or lower revenue. Think of an ice cream store in Minnesota or a winter coat store in Florida. The customer can designate 3 consecutive months during any 12 month period for reduced (as low as $25.00) monthly payments. Different companies budget in different fashions. TEQlease has the ability to customize the timing of the payments to fit the client’s budget. For example, a Charter School may receive annual funding. We can create an annual payment option to mirror this. Or a contractor might get paid on a quarterly basis. We can schedule the financing payments accordingly. If it helps close a sale, we have the ability to “backload” a transaction and thereby keep the payments especially low. For example, we can defer 10%, 20%, even 30% as an end of term residual payment. As a result, the customer’s monthly payment would go down accordingly. Need a special program similar to the “5 years, 0% interest” programs you see on TV? Let’s talk! We have experience putting these together for qualified vendor partners. Which of these programs would be most helpful to you? We’d be happy to discuss how these options can work in your business and help you close more equipment sales faster. Want to learn more? Give me a call (or email) today so we can get started for you. If you’d like schedule a specific time to talk, click here. Westlake Charter School kindly hosted TEQlease Equipment Finance Specialists and staff Erika Aguirre, Jamell Dorton, Dana Andrada and Mike Lockwood on March 20, 2017 just before the CCSA conference. 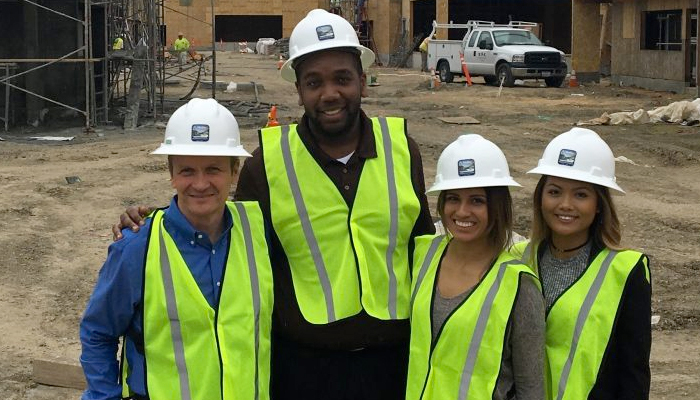 John Eick, Executive Director, and Steve Korvink, Chief Business Officer, gave the TEQlease team a tour of the new school construction that will combine all Westlake Charter School K-8 students in one location this Fall. The building, grounds and the collaborative thought process that will result in an incomparable educational facility are most impressive. The facility’s collaborative design process sought input from teachers, staff members and Westlake’s community, and will ultimately result in a truly exceptional campus. Westlake Charter School currently operates from two separate campuses, consisting entirely of portable classroom buildings. The new site is nestled into the North Natomas community and shares an adjacent city park for additional outdoor exploration and educational opportunities. In addition to modern learning spaces, Westlake Charter School will feature a gymnasium, cafeteria/multi-purpose space and abundant technology to support the school’s commitment to a technology-rich environment. The new school is scheduled for completion in August 2017. TEQlease works with equipment vendors across a wide range of industries. The common denominator across all of these industries is that we make it easier for vendors to sell equipment by making it easier for their customers to buy from them. Occasionally, we’ll hear a vendor tell us that financing doesn’t apply to them. “All my customers pay cash”, they say. But according to recent surveys, nearly 8 out of 10 businesses across the United States use financing to acquire business equipment. You can review the key findings here. If your sales aren’t what you’d like them to be, and you’re not offering financing, you might be competing with somebody who is. Want to learn more? Give me a call (or email) today so we can get started for you. If you’d like more information first, click here. 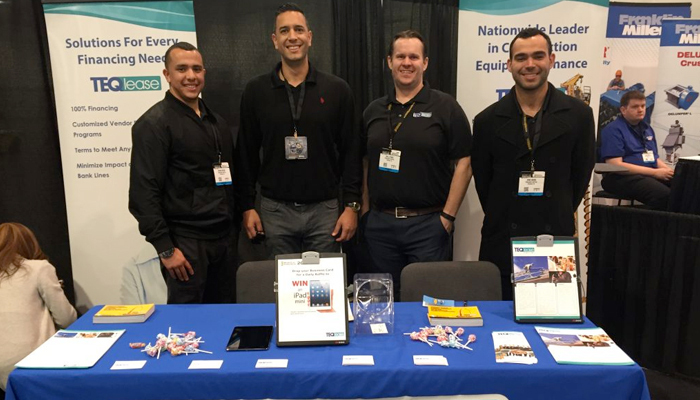 Our team recently attended the World of Concrete 2017 Conference in Las Vegas. Reports are that well over 50,000 industry professionals attended the show over its 5 days. We had the chance to see old friends as well as make many new ones. As a sign of how strong the industry is these days, the team came back with several financing requests in hand. Thanks to Sergio, Albert, Will, Dirk and Denise (Denise missed her picture!) for their dedication and commitment to our customers! TEQlease Capital is a leader in the equipment financing industry. 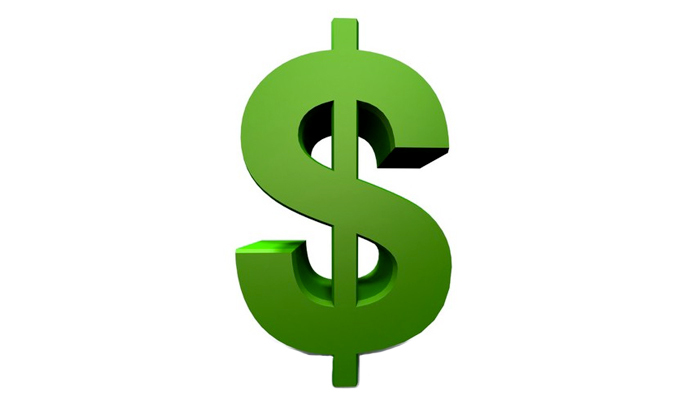 We are dedicated to providing comprehensive financing options for equipment buyers and sellers. In the Concrete Industry? Interested in working with a company that really understands and is committed to your needs? Give TEQlease a call at 818-222-1006. We measure our success based on helping you succeed. TEQlease Education Finance attended the Ohio Charter Schools Conference in Columbus, Ohio from December 7-8, 2016. The conference included attendees from Charter Schools around the state of Ohio, as well as over 40 supporting Exhibitors in the exhibit hall. 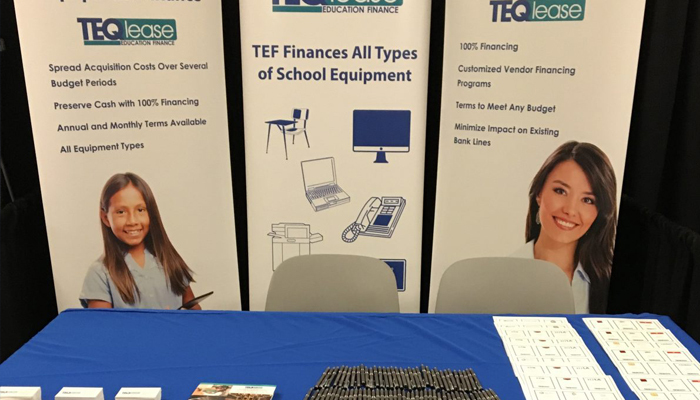 TEQlease Education Finance had the opportunity to discuss lease financing with many schools throughout the duration of the conference. Many were looking into purchasing equipment such as iPads, Chromebooks, furniture, playground equipment and much more. TEQlease is able to get charter schools the equipment they need by helping them stretch their budget with monthly, quarterly, or annual lease payments over terms up to five years. Trinity Basin Preparatory (TBP), a free, open-enrollment public charter school with campuses in Dallas and Fort Worth, has entered into three equipment lease transactions with TEQlease Education Finance (TEF). The transactions include a variety of equipment, including school furniture from Staples Office Furniture, iPads from Apple, and smartboards from School Tech Supply. Trinity Basin Preparatory continues to experience increased enrollment and now has 2,780 students in grades Pre-K – 8. Bruce Fornatoro, TEF Account Executive, worked closely with Trinity Basin Preparatory to meet the prompt delivery requirements and manage the multi-vendor order process. through detailed market analysis, covers the industry landscape and prospective growth over the next four years. 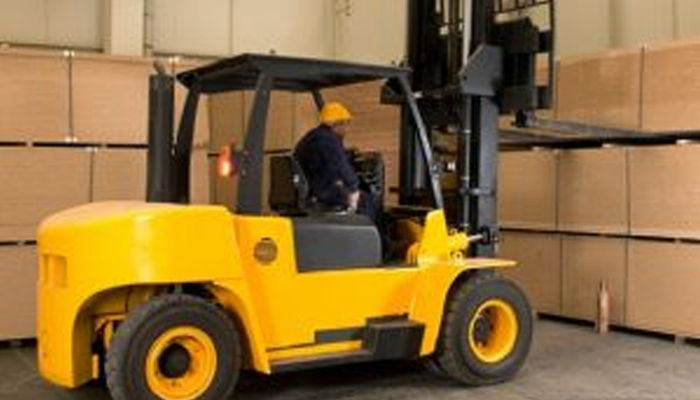 The report states that the material handling equipment market is expected to grow by 10.57% between now and the year 2020. This includes any type of equipment used in the transportation and storage of materials and assemblies. The Equipment Leasing and Finance Association has released its Monthly Leasing and Finance Index. 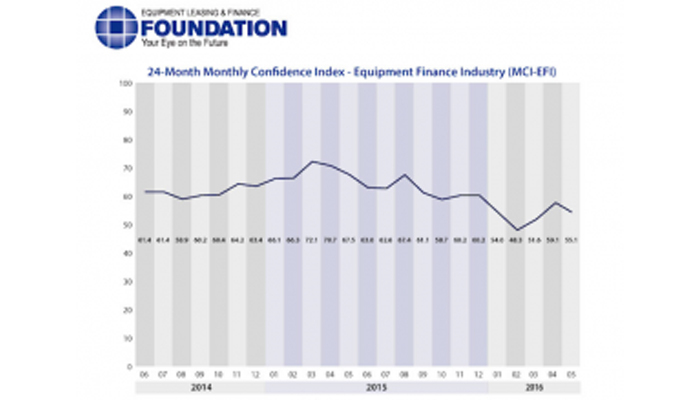 The report, which shows economic activity from 25 companies from the equipment finance sector, showed that the Monthly Confidence Index decreased from an April index of 59.1, to a May index of 55.1. Many analysts attribute the declining levels to a combination of economic and political instability. Despite the declining confidence index, demand for capital equipment is remaining steady. This coupled with relatively low interest rates makes it a good time to acquire equipment. Financing remains the best option for business owners who need to purchase equipment yet do not have or want to use existing capital. It allows businesses to preserve cash in this relatively unstable economic time. Want to find out if lease financing is right for you? Call us at (818) 222-1006 to learn more or to receive a free quote on your next equipment purchase. TEQlease Capital provides equipment lease financing solutions for businesses and educational institutions in the United States. TEQlease Capital also offers equipment vendor lease finance programs across all industries. To learn more about TEQlease Capital, visit our website at www.TEQlease.com. 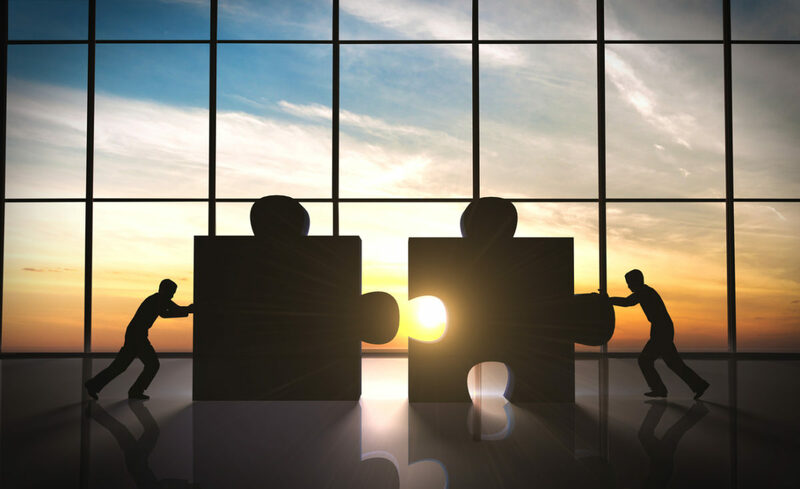 TEQlease Capital, a nationwide provider of equipment lease financing, has completed a lease finance agreement with Warm Springs Medical Center. 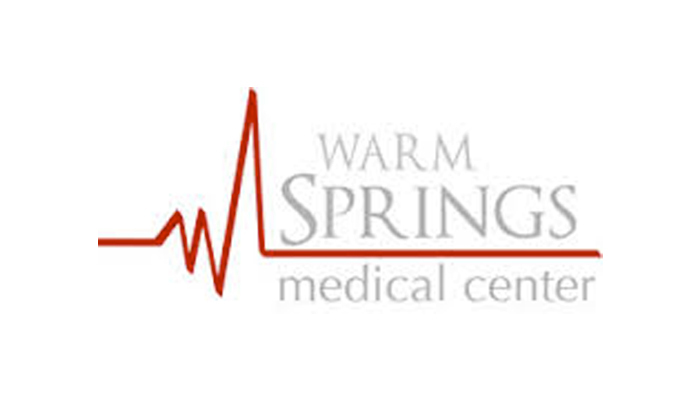 Warm Springs Medical Center, located in Warm Springs, Georgia, acquired a new mammography machine in order to ensure the center’s equipment remains of the highest quality. Looking to purchase new equipment for your business? Call us today at (818) 222-1006 for a no obligation, free quote.